Suministro de equipo y programas de mantenimiento - ChlorKing, Inc.
Want to put the latest water sanitization equipment to work now without a large cash outlay? Take a close look at ChlorKing’s 36- and 60-month Equipment Supply & Maintenance Programs. They cover the cost and installation of the equipment and repair parts and labor for the life of the contract. You just need to provide the salt for your equipment. You’ll get the latest technology and a saline-based system that is less expensive and safer to operate than systems using straight chlorine. And by eliminating chlorine handling, you don’t need to build special facilities to store toxic chlorine or to require deliveries of liquid chlorine in specially equipped trucks at specified times. You’ll have peace of mind in not having to worry about somebody mishandling chlorine and either creating a hazardous gas or causing a fire. When your agreement ends, you can buy the equipment in place for $1 – or follow the lead of 90% of program participants who have us install a brand new system for the next 36 or 60 months. We can offer you a financially attractive 60-month program because we are so confident our systems will perform at the highest level of reliability for the life of the contract. 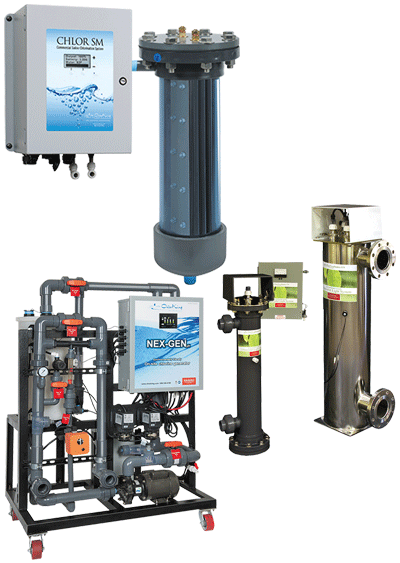 Check out a safer sanitization system at a fixed, budgeted cost that covers all your maintenance for 36 or 60 months – whichever best fits your needs. Download our brochure or contact us today for more information and price quote.